My mission is to travel the world communicating God's Word and encouraging college students to pursue Jesus. What would our society, the Church, and the world look like if college students were on fire and sold out for Jesus? Today's college students are tomorrow's presidents, CEO's, and entrepreneurs. I believe that in order for us to see and live in a better future, we have to focus our efforts on reaching those that will be leading it. After a 2-year residency with the Young Adults Groups at Central Church, I have decided to join Circuit Riders for the Circuit Rider Experience. This experience will take place from October 2018-April 2019 and will include a Discipleship Training School and the Carry the Love Tour. (Feel free to check out CR EXPERIENCE for more information). The Carry the Love Tour tackles my mission statement and my heart's cry. We will spend the first 4 months of 2019 traveling to multiple college campuses around the United States, hosting gatherings, baptisms, and worship experiences. There were over two thousand decisions for Christ made by college students during last year's tour alone. My life was radically changed my freshman year of college and I cannot imagine who I would be today if I hadn't given my life to Christ when I did. My heartbeat and mission is to see other students come to know Him and be radically changed just as I have. I spent 21 days at the beginning of July at a school hosted by Circuit Riders called 21Project. God showed up in EVERY SINGLE moment of those 21 days. His faithfulness outmatches ours time and time again. I was set free from past hurts, experienced full surrender, and formed an amazing community along the way. I am so excited to see how God uses the seven months of this mission trip to continue to change my life and the lives of those around me. There are multiple ways to PARTNER in this experience with me. PRAYER IS HUGE. I have never been away from home for this long, so prayers for peace, excitement, safe travels, the movement of God in my life as well as on the college campuses I will be attending is a huge blessing. You can give financially through this website either by a one time gift or by registering to be a monthly donor! Some of the funds raised will go towards my meals for the seven months that I am on this trip. Gift-cards to Smiths, Walmart, Target, Chipotle, Subway, Tropical Smoothie, etc are a great way to help provide food! I will be hosting a Rummage Sale on September 7-9, you can partner by donating clothing and other items for me to sale! You can drop them off or I will come pick them up, just text me! Love you! I believe in you and all God is capable of doing in and through you! Since my fuzzy brain forgets cards but loves you and champions for you always. Happy food for December!!!!! You are a great inspiration of your generation. Your Mother would be proud. So proud of you! Go inspire the world! 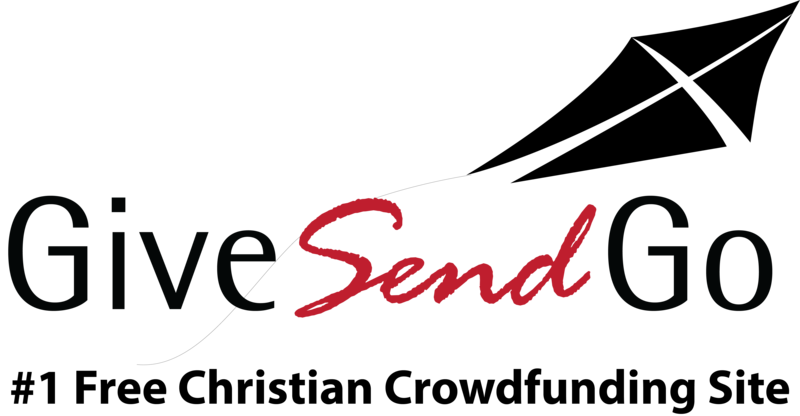 From the GiveSendGo Team. Keep Shining Brightly! So incredibly proud of you and so blessed to call you my leader. Love you so so much and can't wait to see how you change the world!